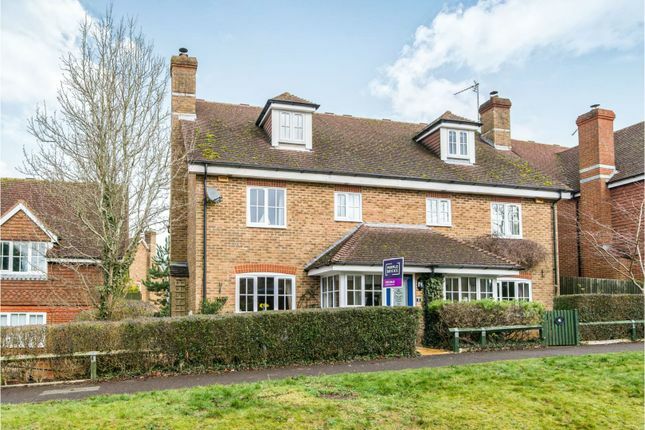 Presented in an excellent condition throughout is this spacious three storey semi detached family home which has been well cared for by the current owners. Located in the highly sought after village area of North Waltham, this home offers four bedrooms with an en-suite to the master bedroom, a Jack and Jill bathroom to the second bedroom, two reception rooms, a conservatory, a garage and driveway parking for two vehicles. 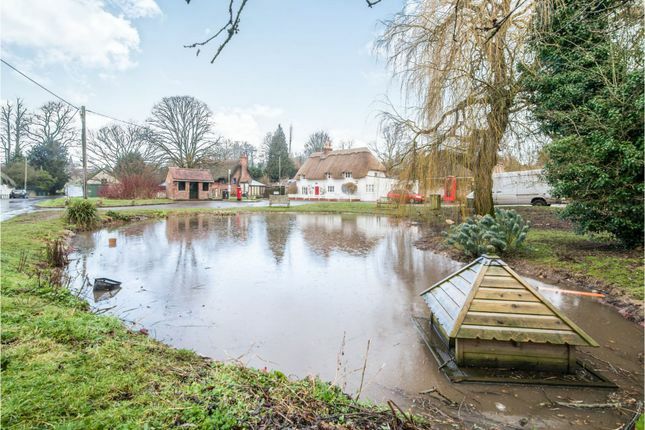 North Waltham itself is a is a quaint village offering a local pub, village pond, convenience shop and a highly regarded school. The M3 and Basingstoke is also a short distance away making this a perfect family home located in a highly sought after and quiet area. To the front of the property there is a paved pathway leading to the front door where there is an external light. 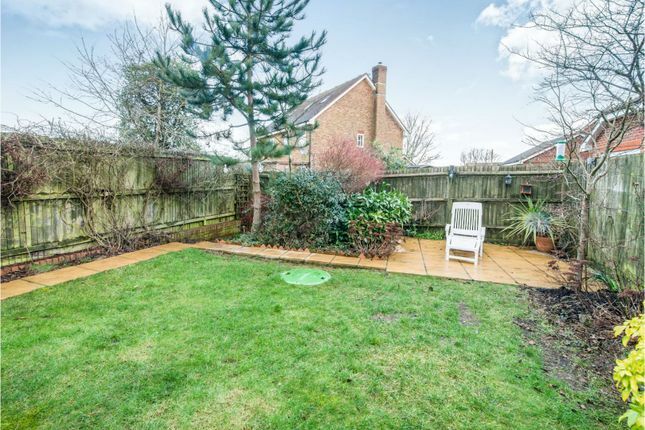 The property is enclosed by maintained hedging and there is a gravel pathway leading to the side of the property providing access to the rear garden. The front door leads into the porch where there is a front and side aspect window, an area dedicated for storage of jackets and shoes, overhead lighting and tiled flooring. An internal glazed door leads into the hallway. Here there are stairs leading to the first floor landing with doors leading through into the lounge, kitchen and cloak room. There is a wall mounted radiator, overhead lighting and carpeted flooring. Overlooking the front of the property, this is a spacious room with plenty of space for free standing furniture. There is a feature log burner with surround and slate hearth, TV/Sky/BT and power points, overhead lighting and carpeted flooring. An opening leads into the dining room. 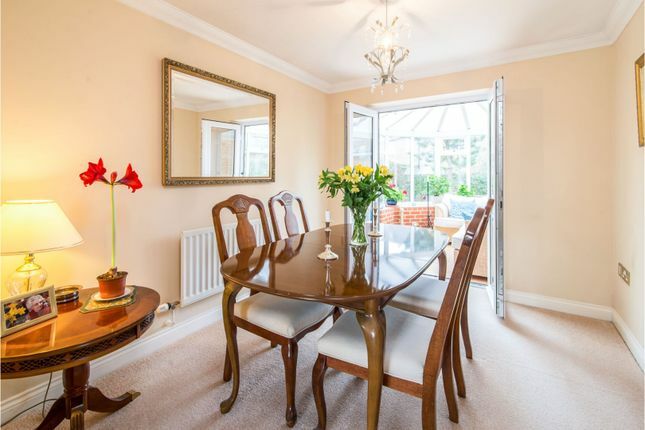 Providing plenty of space for a large family dining table and additional furniture, there are double doors leading to the conservatory, a single door leading into the kitchen, a wall mounted radiator, overhead lighting and carpeted flooring. 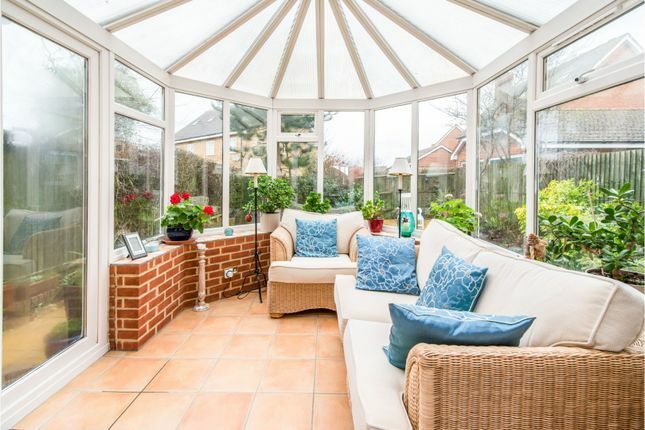 Having been added to the property when first built, the conservatory features double doors leading out onto the rear patio, multiple power points, wall mounted lighting and tiled flooring. Overlooking the rear garden the kitchen comprises a full range of eye and base level storage units with roll top work surfaces. There is a replacement one and a half bowl inset ceramic sink with a single mixer tap and drainer units, a replacement four ring Bosch gas hob with extractor fan above and replacement Bosch double fan assisted oven below. 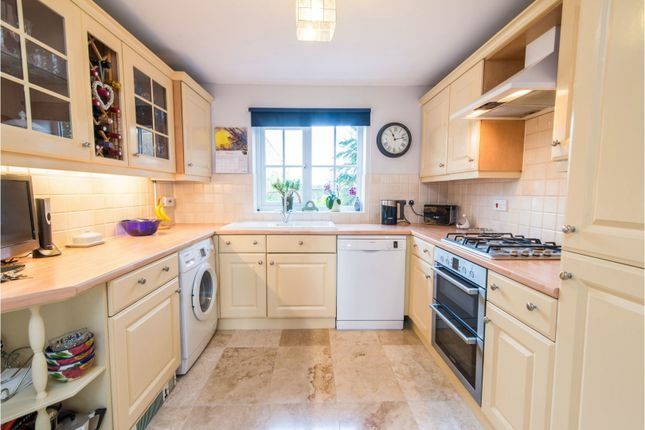 There is an integral fridge and freezer, space and plumbing for a washing machine and dishwasher, a serviced boiler enclosed by a cupboard, multiple power points, partly tiled walls, a large under stairs storage cupboard which could easily be used as a pantry, overhead lighting and replacement tiled flooring. A single door leads back into the hallway. Here there are doors providing access to three bedrooms and family bathroom with further stairs leading to the top floor. 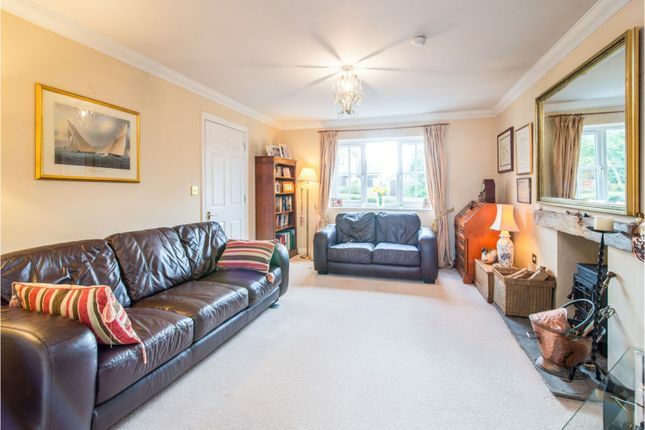 There is a wall mounted radiator, overhead lighting and carpeted flooring. 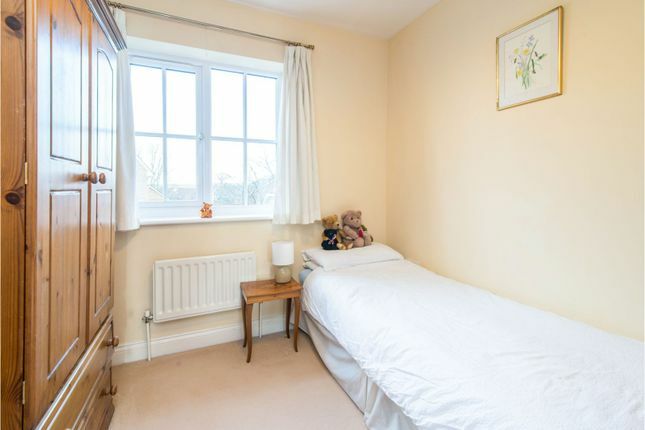 Overlooking the rear of the property this is a spacious room with a built in quadruple wardrobe providing plenty of hanging and storage space. There is further additional space for free standing furniture, multiple power points, a wall mounted radiator, overhead lighting and carpeted flooring. 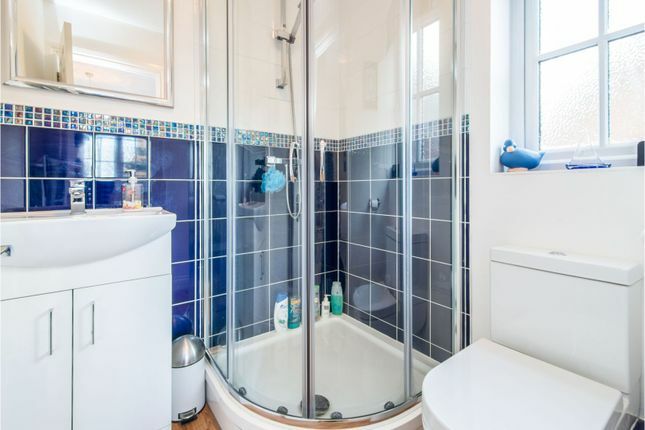 Having been refitted, the en-suite comprises a large corner shower cubicle with a wall mounted shower, a wash hand basin with a single mixer tap and storage cabinet below and a WC. There are partly tiled walls, a side aspect obscure glaze window, extractor fan, shaver point, a heated wall mounted chrome towel rail, overhead lighting and wood effect vinyl flooring. 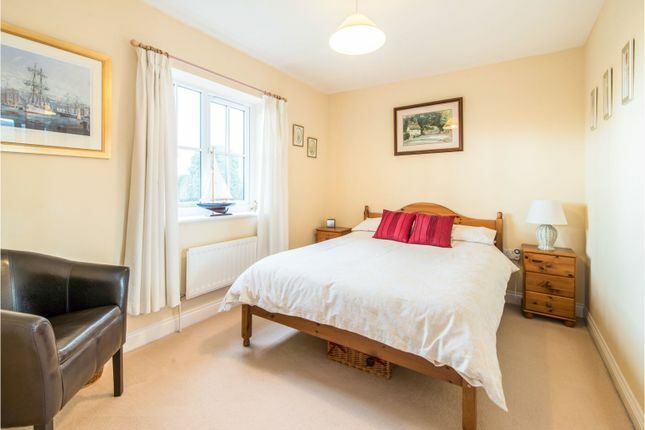 Overlooking the front of the property this is another spacious double bedroom with built in quadruple wardrobes providing plenty of hanging and storage space. There are multiple power points, a wall mounted radiator, overhead lighting and carpeted flooring. A single door leads into the main family bathroom. Overlooking the rear of the property this is a well proportioned single bedroom with plenty of space for free standing furniture. There are multiple power points, a wall mounted radiator, overhead lighting and carpeted flooring. 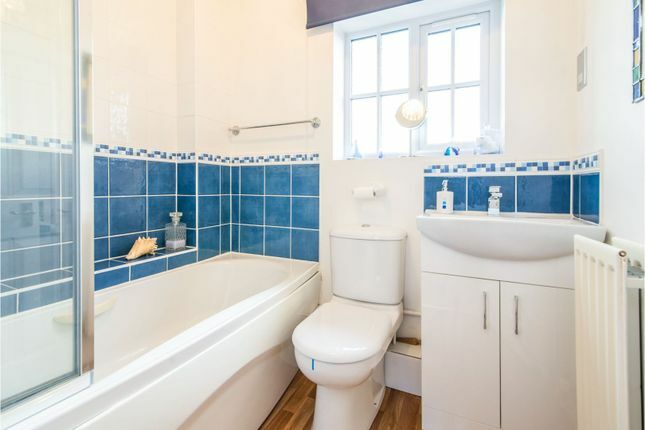 Having been refurbished the bathroom comprises a panel enclosed bath with a single mixer tap, shower attachment and shower screen, a wash hand basin with a single mixer tap, tiled splash, back and storage cabinet below and a WC. There is a wall mounted radiator, partly tiled walls, a front aspect obscure glazed window, extractor fan, a single door leading into bedroom two, overhead lighting and wood effect vinyl flooring. 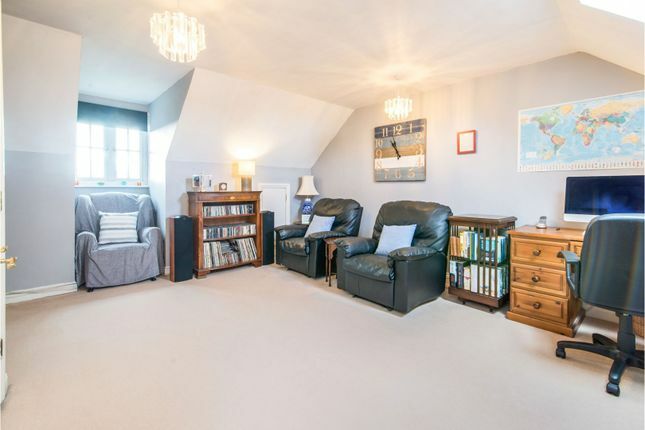 Located on the top floor this is a fantastic space that could either be used as another spacious double bedroom or a family room as it is currently being used. There is a front aspect dormer window, two rear aspect Velux windows, wall mounted radiators, TV/Sky and multiple power points, storing space in the eaves, an airing cupboard housing the hot water tank with hanging and storage space, overhead lighting and carpeted flooring. 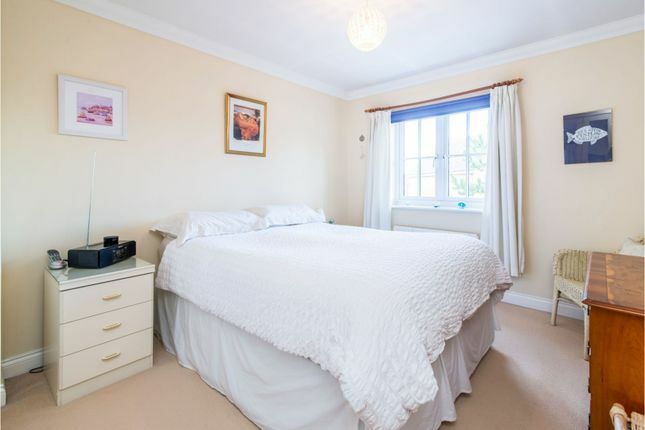 Given the layout of this room with the main bathroom below, subject to building consents and assessment an en suite could be installed for this then to be used as a new master bedroom or guest room. Having been well maintained the garden is enclosed by wood panel fencing and is mainly laid to lawn with various mature shrubs and borders. There is a large paved patio area to enjoy the afternoon and evening sunshine, a pathway leading to a rear access timber gate that leads out to the driveway, and a pathway leading out to the front of the property which is secured by a timber gate. This is located to the rear of the property and is a single garage accessed via an up and over door to the front. There is storage space in the eaves, power points and lighting. In front of the garage there is driveway parking for two vehicles.